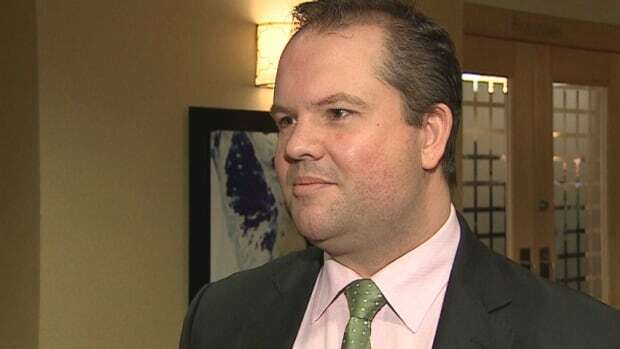 The chief financial officer for former UCP leadership candidate Jeff Callaway is facing up to two years in prison or a $50,000 fine for alleged “corrupt practice” in breach of the Elections Act. The Office of the Elections Commissioner (OEC) has been investigating those connected to Callaway’s so-called “kamikaze” campaign during the 2017 UCP leadership race. CBC News has obtained a copy of the letter sent from OEC commissioner Lorne Gibson to former Callaway CFO Lenore Eaton on March 21, 2019. The letter is attached to an affidavit that is part of the court file supporting Callaway’s application seeking an emergency court order halting — or at least pausing — the OEC investigation, on which a Calgary judge is set to rule Wednesday afternoon. In 2017, Eaton was simultaneously the CFO for both the Callaway campaign and the Energize Alberta Corp., considered a prohibited entity under the Election Finances and Contributions Disclosure Act (EFCDA), meaning it cannot contribute to a campaign or candidate. Based on financial disclosure and interviews with Eaton, Cameron Davies and Jeff Park, the commissioner found the former CFO was paying campaign staffers with money from Energize Alberta, amounting to unlawful contributions made to Callaway’s campaign from a prohibited corporation. It also alleges Eaton made a false statement when she signed and filed with Callaway’s leadership contestant financial statement. Although Eaton told investigators Energize Alberta was not connected at all with the Callaway campaign, she paid two campaign staffers out of the corporation’s account in September 2017, according to financial disclosure reviewed by the OEC. In September 2017, Eaton signed three cheques, paying Davies and Park each between $2,000 and $3,000 from the Energize Alberta account for work they’d done on the Callaway campaign. “You have conducted yourself in a manner that is in contravention to the EFCDA,” Gibson wrote to Eaton, finding two breaches of the Election Finances and Contributions Disclosure Act, one of which is considered “a corrupt practice,” which, in itself, is a breach of the Elections Act. In the letter, Gibson summarizes his “findings of the Investigation” in 21 paragraphs but goes on to say he will not make “an adverse finding against [Eaton] and deciding on an appropriate penalty until after she is given a chance to respond and the investigation is concluded. “I will consider all the information obtained during the investigation thus far and give you an opportunity to present your views on this matter,” wrote Gibson. According to Eaton’s lawyer, she was “unaware of any wrongdoing” and has been co-operative with investigators. Eaton has until April 19 to respond to the OEC’s findings. She has not yet submitted a reply to the allegations. To date, the OEC has issued $15,000 in fines on Callaway’s former communications director, Cam Davies, for obstruction of the investigation and has also identified five people who donated money that was not their own to that campaign. A letter similar to Eaton’s was also sent from the OEC to Hardyal (Happy) Mann. It found Mann contributed a total of $9,000 to the Callaway campaign that was not his own, after he agreed to attach names to contribution forms that had pre-filled amounts of $3,000 for himself and two others. Both Kenney and Callaway have denied that claim. But CBC News has obtained emails showing higher-ups in Kenney’s campaign circle providing resources — strategic political direction, media, and debate talking points, speeches, videos and attack advertisements — to the Callaway campaign. The RCMP is also investigating the UCP leadership race, and on Thursday the UCP confirmed it was in contact with the police force.